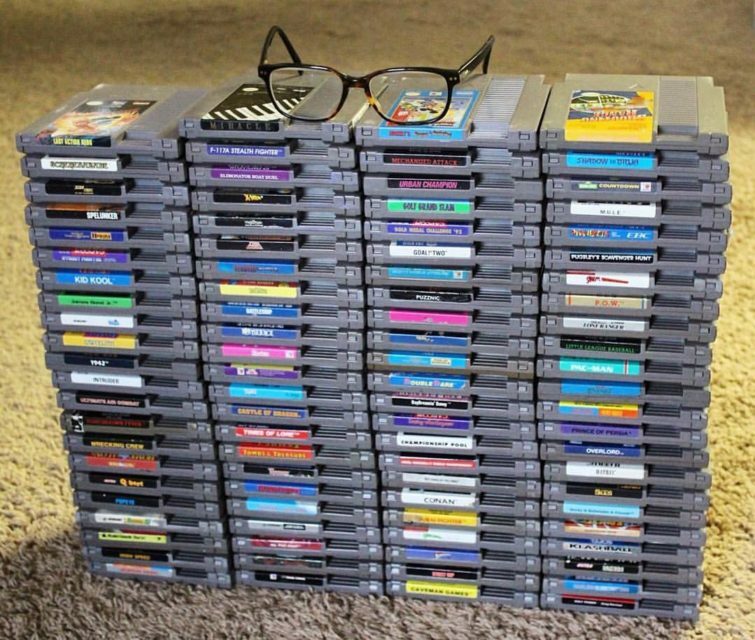 In mid-2015, one of my best retro game collector buddies Doug announced that the time had come to part ways with almost all of the games he’d acquired over several years of collecting, shortly after he had completed his licensed NES collection. One-by-one, he began selling almost everything– from his NES cartridges to his GameBoy games and TurboGrafx catalog. Towards the end of 2015, after he was months into selling his collection off to various online collectors, Doug and I began discussing the possibility of me purchasing a bulk order of the NES games that he had left that were on my wanted list. I could get a generous discount, and he would save time and money having to sell the rest of his NES collection to various collectors. I sent him my wanted list, and he got back to me with prices on the ones he had. My budget was in the arena of $850, as I wanted to kick off 2016 big with the NES Quest, and I wanted to help a friend liquidate more of his collection (selling huge collections of games can be a huge hassle). The market value of this lot at the time was about $1091.00. But Doug was kind enough to ship the entire lot for $900.00 even– or about 18 percent off. This lot doesn’t include any of what collectors would call “heavy-hitters,” but several are valued at over $25 and have alluded me up until this point, including: Advanced Dungeons & Dragons: Pool Of Radiance, Conan, Last Action Hero, Mickey’s Adventure In Numberland, Pugsley’s Scavenger Hunt, Shadow Of The Ninja, Times Of Lore and Toki. While work, school and various other projects still make it difficult to find the times to sit down and pen posts about my collecting, collecting is still something that I’m very much committed to. It was exciting to begin the year with a big jolt of energy in the NES Quest, and I’m excited about where to go from here. My goal for 2016 is still to finish the year with a 525 cartridge count, and I’ll continue re-strategizing my collecting approach as I go. This purchase brings my collection from 365 to 452 NES games. For the rest of the entries of NES Quest, check them out right here on Retro Chronicle.